Campaigner Michael Hayworth answers some of the tougher questions – like why it is fundamentally important to abolish the death penalty? 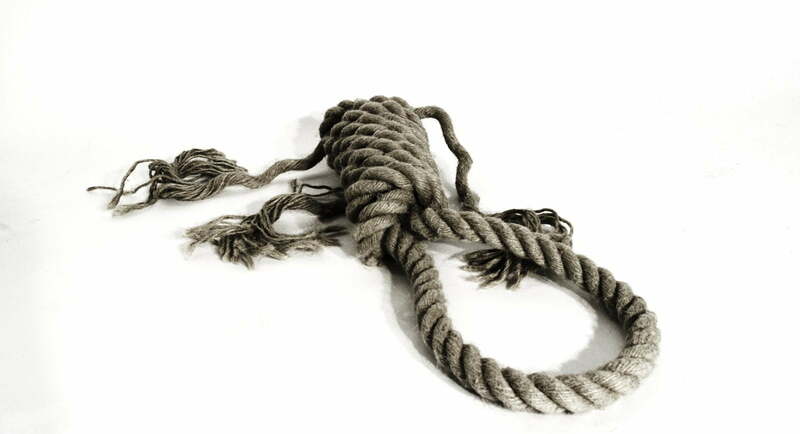 Anti-death penalty campaigners can rattle off 25 different reasons why we need to abolish the death penalty: its cruel, degrading, inhumane, what about families, it’s just wrong and world peace. Most of us can do this so quickly that we cause a small whirlpool in the organic latte that we proudly paid $4.80 for at a garage in the industrial estates of inner western Sydney. Despite the overwhelming global trend against executions, a number of reasons for the death penalty continue to come up. Here is my attempt to respond to them. Everyone agrees that crime is bad and we need to stop it. This seems sensible and logical in every way, until we ask the question: do we need the death penalty to be ‘tough’ on crime? The answer is no, we don’t. The fallacy that crueler punishments deter crime doesn’t take into account that there are complex social and economic factors that drive crime rates, and secondly, that criminals don’t often plan on getting caught or think through all the consequences of their actions. Simplified statistics don’t help either. Did you know that since Canada stopped executing the murder rate has dropped by 44 per cent? Does this mean that stopping executions will stop murders? Of course not, but it does demonstrate that the issues that drive and prevent crime are too complex to fit into a one line statistic or sound-byte. The point here is that preventing crime takes long-term research into the causes, effective police work and rehabilitation. All of which can happen without the use of the death penalty. 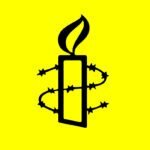 Various iterations of this comment came thick and fast when Amnesty began calling for the clemency of Australians Andrew Chan and Myuran Sukumaran, currently on death row in Bali for drug offences. Ironically, with the death penalty, we are not talking about time, we are talking about the opposite. Both men acknowledge their crimes and recognise that they must face punishment. But a death sentence deprives people of the opportunity to reform. Myuran Sukumaran and Andrew Chan are great examples of reform, one running art classes and the other studying to be a pastor. Their reform has come so far that a former governor of Kerobokan prison has argued they shouldn’t be executed. Many others who languish on death row across the world have acknowledged their crime and reformed. There is no benefit to the state in killing these people, a senseless deprivation of life. The immediate counter argument is that the threat of death forces people to reform. Again, the evidence for this simply isn’t conclusive. Criminal justice systems the world over have had great success of reform without the threat of death, and often due to programs that focus on offender rehabilitation. Australia’s criminal justice system is largely fair, but that certainly can’t be said of many of the countries using the death penalty. We know that the death penalty is applied overwhelmingly to the working class, ethnic minorities and other marginalised groups. This happens not because people in these categories are more prone to crime, but because they have less access to legal resources. Ask any criminal lawyer whether or not the amount of legal resources available on a particular case makes a difference and they will give you a deadpan ‘yes’. Legal support might not get the verdict is changed, but mitigating circumstances can be presented, alternate arguments explored and evidence double-checked. All of this makes a difference to whether a death sentence is handed down. Many justice systems are stacked against the person charged with the crime. Siti Zainab is an Indonesian national on death row in Saudi Arabia. Siti was a domestic worker who, after horrific treatment at the hands of her employer, allegedly killed a member of the household. Domestic workers are often unable to escape their employers treatment in the Gulf and Siti reportedly suffers from a mental illness. Regardless of the country, a fair criminal justice system does not mean an infallible one – errors can and do occur. Troy Davis was executed in Georgia, USA after seven of nine key witnesses changed their testimony, some going so far as to argue for Troy’s innocence. We can’t give back a life once it is taken, and for one I would prefer a cautious approach to even the slightest possibility of taking an innocent person’s life. 4. It is cheaper and more humane to execute people. Even I was surprised by the facts on this one. A study done in California discovered that it was actually more expensive to execute a person than to keep them in jail for life. Yes, that’s right – the amount of time and money spent on taking a person’s life is greater than keeping them in prison. For those of us who think there is a humane way to execute, let’s reflect on how some executions actually occur. Often prisoners are woken with no knowledge they are to be killed, taken to a remote location, tied to a post and shot in the chest. If they don’t die, a captain takes a pistol and shoots them in the head. For hangings, people are sometimes strapped to a steel board to stop them moving as they are wheeled up to a noose. Governments often keep this information on executions secret, even to the point of loading some of the guns with blanks so no one definitively knows who in the firing squad fired the death blow. Whichever way you look at it, killing another human isn’t humane, not even close. And when you get to the details it is simply vengeful and cruel. 5. But what about [insert horrible despot here]: surely they should be executed? There are a lot of people who have done horrific, unspeakable things, but modern societies should not join their ranks by also carrying out a murder. People are judged by their actions, and killing another human being is about as profound as actions come. We can’t take back death, we know that systems make mistakes and we are lucky enough to live in a country where the majority of people oppose this cruel punishment. This knowledge give us an opportunity, a chance to ask our neighbours in the region to end this practice. 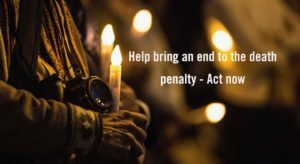 Today, thousands of Australians will start a movement and light candles at vigils all across the country to end the backslide towards execution in Asia. It might sound simple but we shouldn’t underestimate the capacity of a group of Australians to change the world.